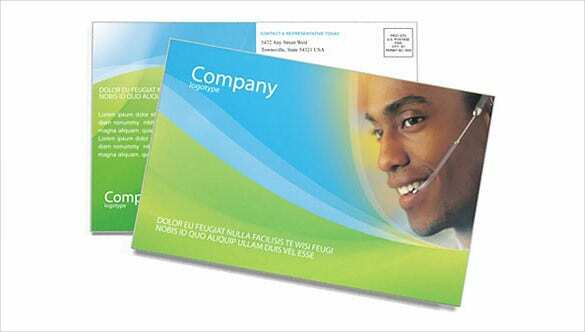 Post card templates are used for many purposes depending upon the need and demand of the situation. 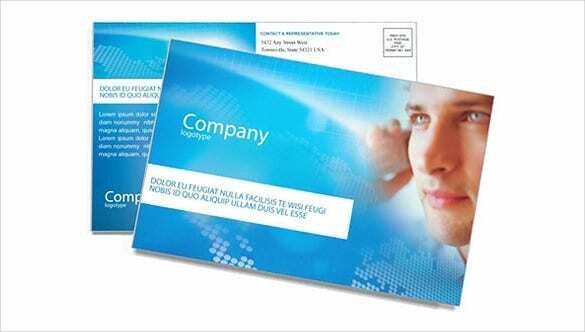 These can either be prepared in Microsoft Word or PDF or taken a print out on a post card, or it may also contain PSD images for more artistic appeal. 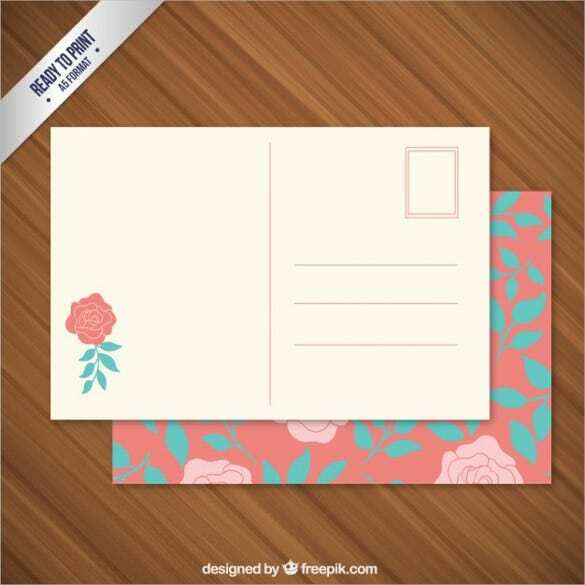 You can also see Save The Date Postcard Template. 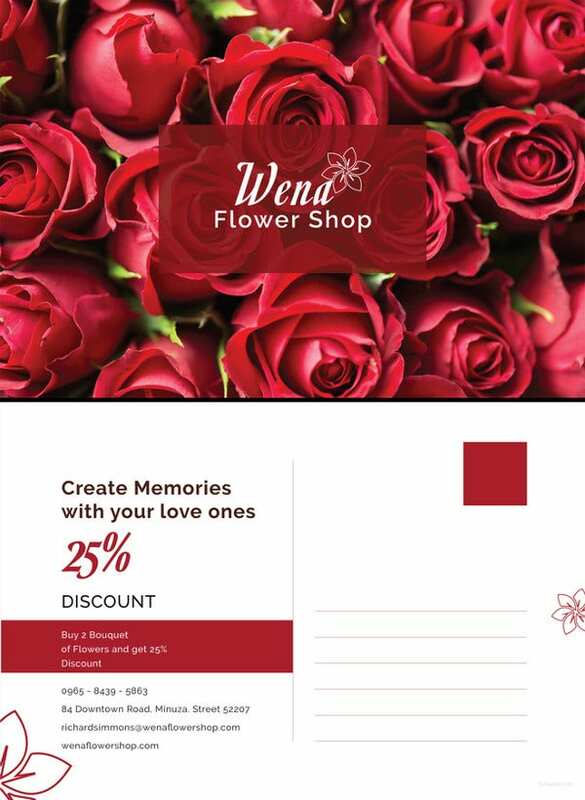 These templates can be used for inviting a particular guest to an auspicious event, or in promotion of certain product or offering or also providing or broadcasting certain information to a larger audience. 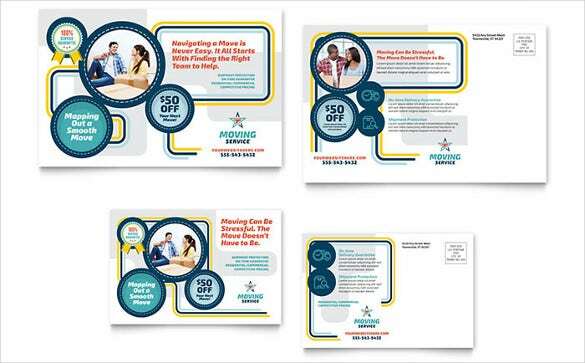 These postcard templates can also be customized to a great deal by the usage of Photoshop, illustrator or using Microsoft Power Point format. 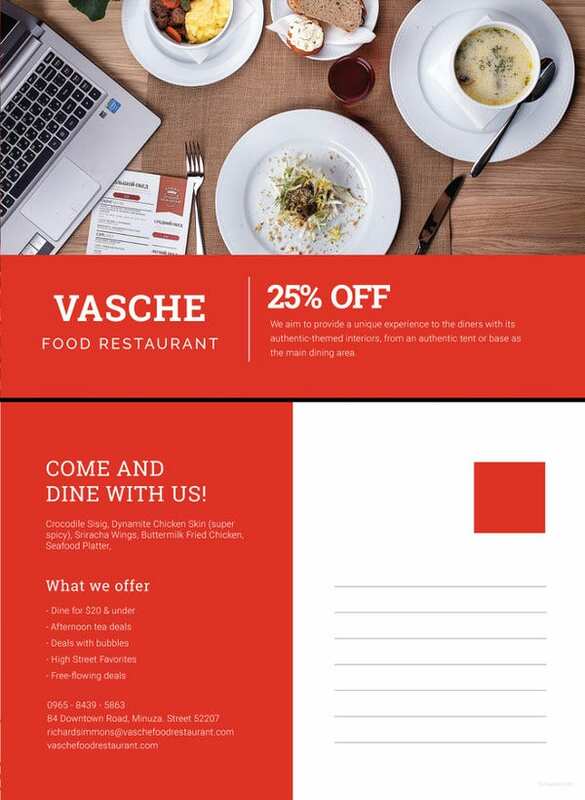 This postcard template has a very official and formal look, with its minimalistic design and simple font. 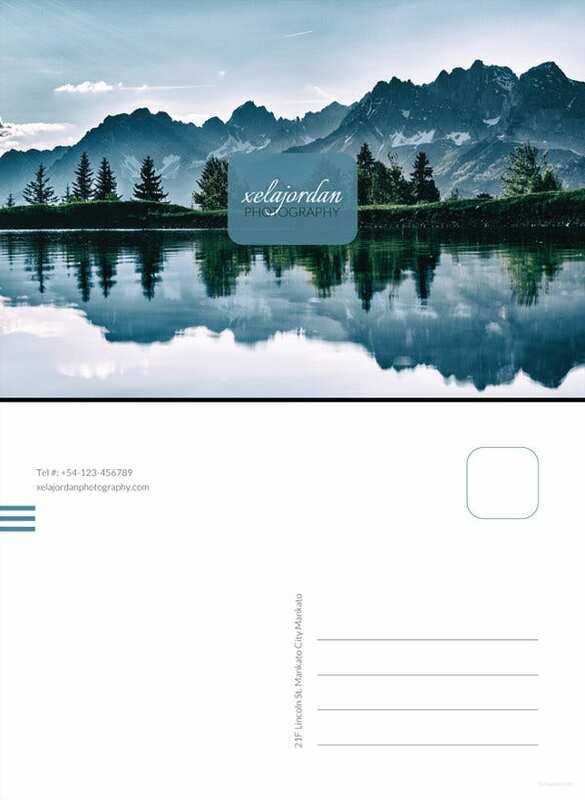 If you’re planning to send a postcard for professional reasons, this is the template for you. 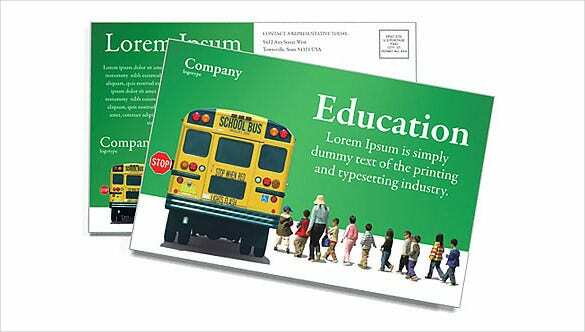 If you are advertising as a bus services providing company, or you own a bus service which picks up school children, this is the postcard template you should go for. 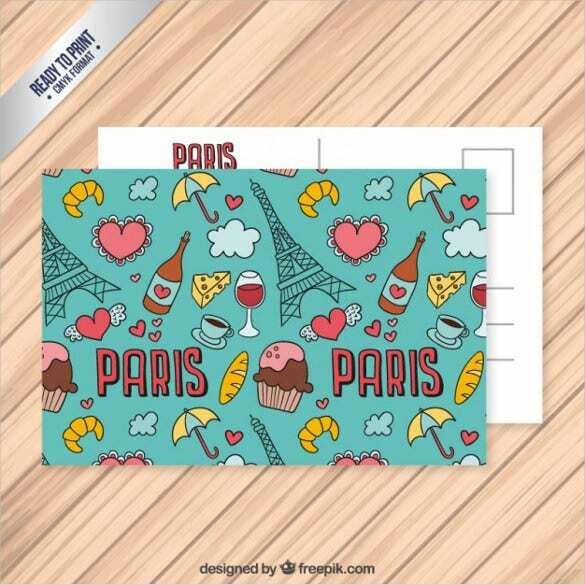 A sweet message demands an even sweeter postcard. This template would be perfect if you’re sending a message to someone across the borders, it would surely brighten their day up. 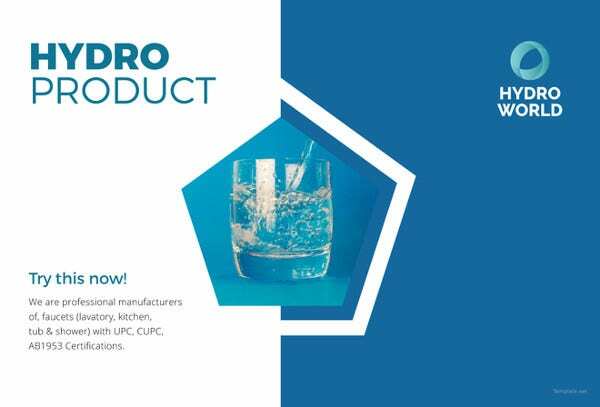 Have you moved into a new apartment recently? 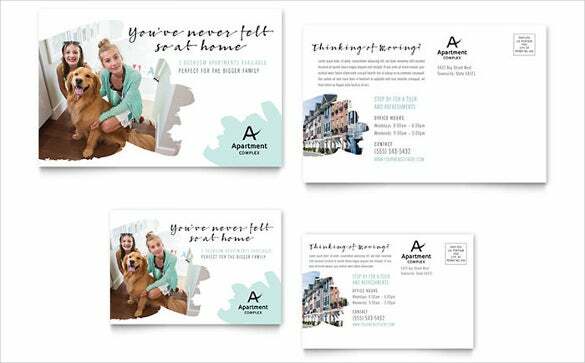 Then if you’re planning to send a message to your loved ones about how you’re doing or how the apartment is looking, you can download this template. The universal symbols to denote doctors and the noble profession of medicine. 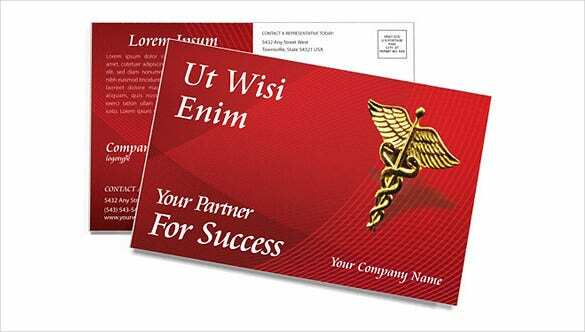 If you’re practicing medicine, you can go for this smartly designed, minimalistic postcard template with a red background. 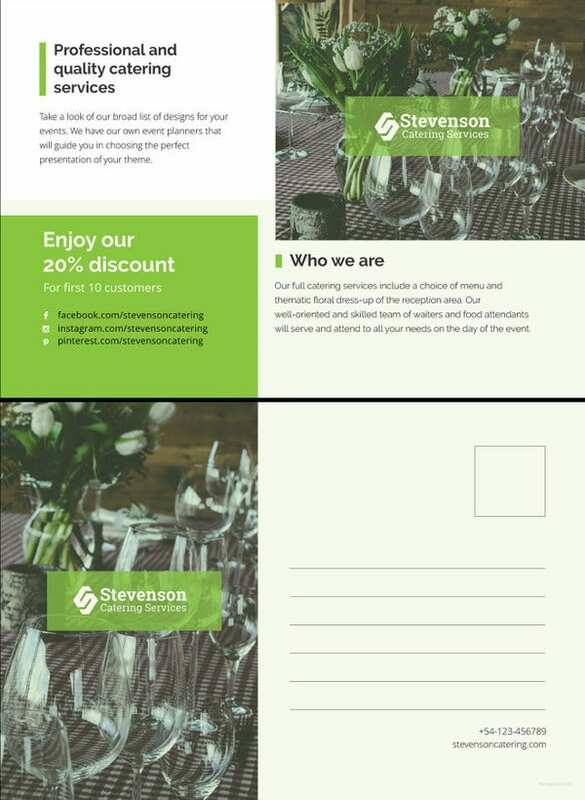 If you own a company or a business, you may download this template for your postcard. 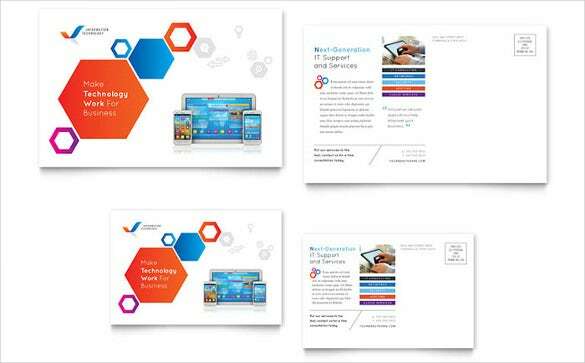 You get to include your details and the services you provide on the template along with attractive diagrams. 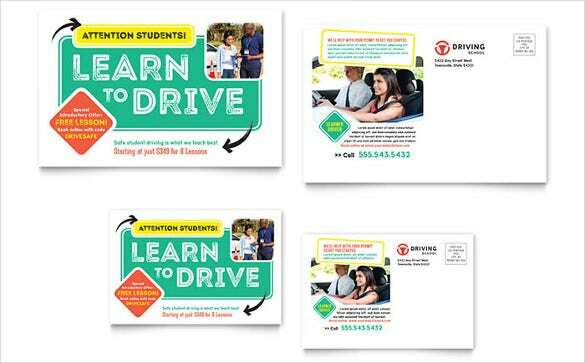 Do you own a company that teaches people to drive? Then look no further, this is the template you should opt for. 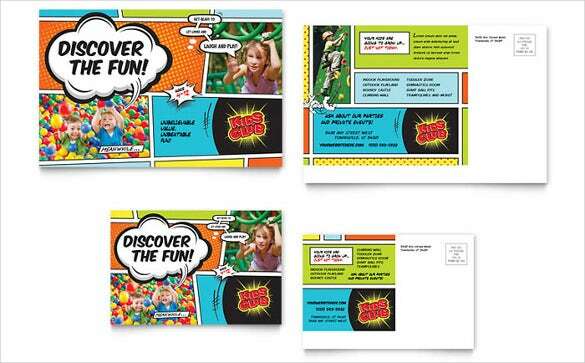 It gives a clear idea of your company in a fun, appealing way. Postcards are a must on Halloween. 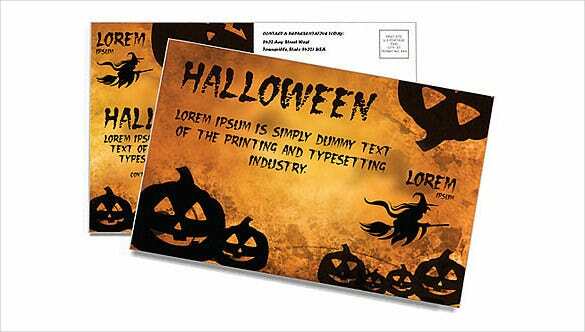 If you’re planning to send your family a postcard on Halloween, this would be perfect way to make them smile. True to the season, it follows a classic orange and black theme. 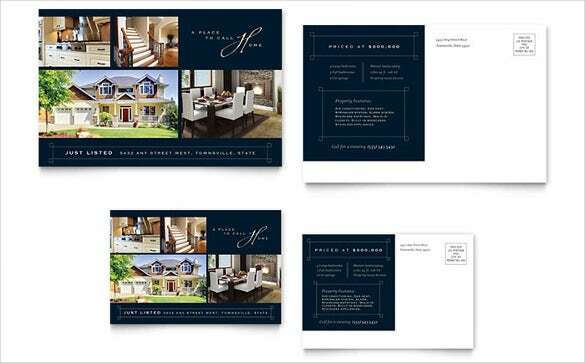 Real estate is emerging as one of the most exciting fields and if you’re a real estate developer, you can download this template with images of attractive buildings on the cover. 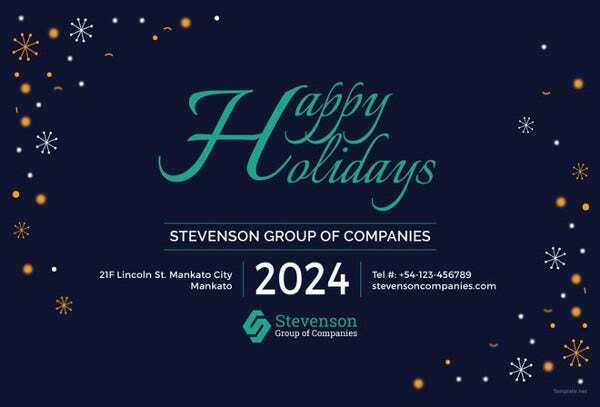 Sending a postcard on Christmas is a sweet gesture, especially if you live far away from your family. 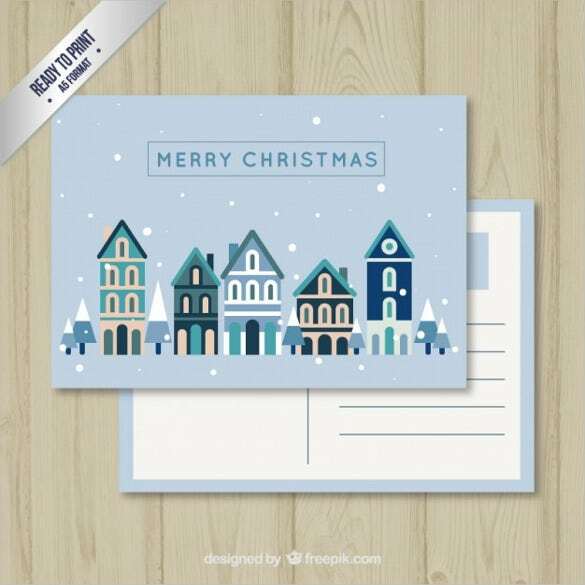 Surprise your loved ones with this cute blue Christmassy postcard template. 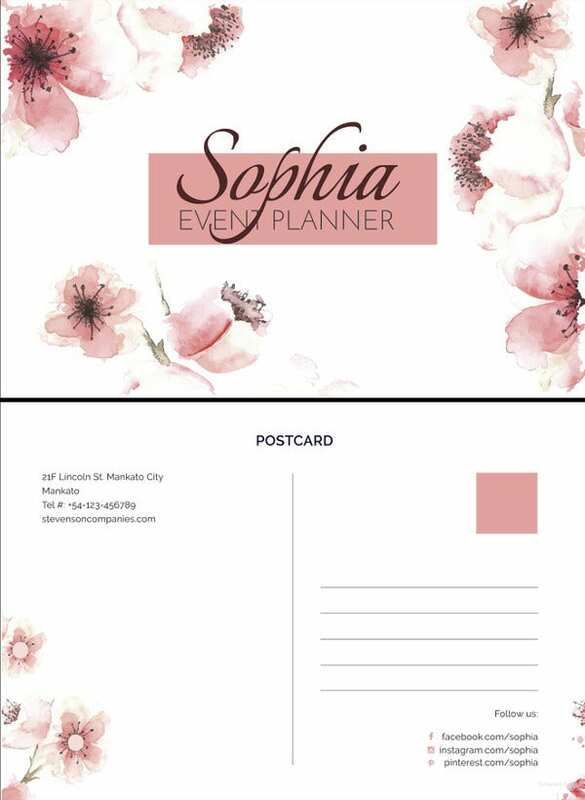 Are you a wedding planner? 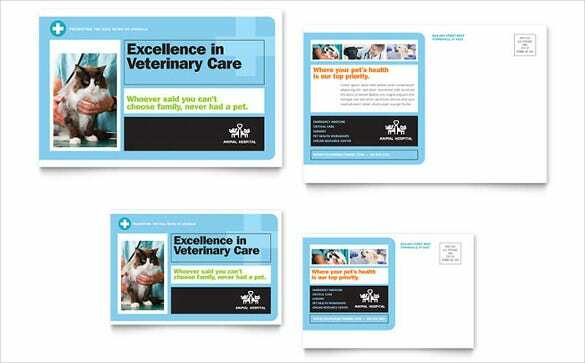 Then your postcards should reflect that, isn’t it? 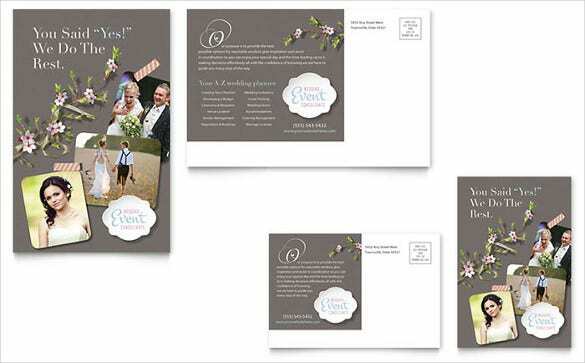 You can opt for this postcard template that would be perfect for wedding planners; it even has a catchy message on top. 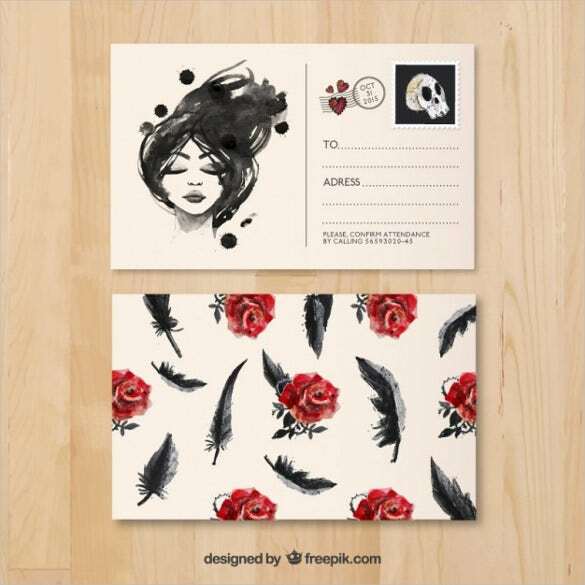 A bird lover would absolutely love this postcard. 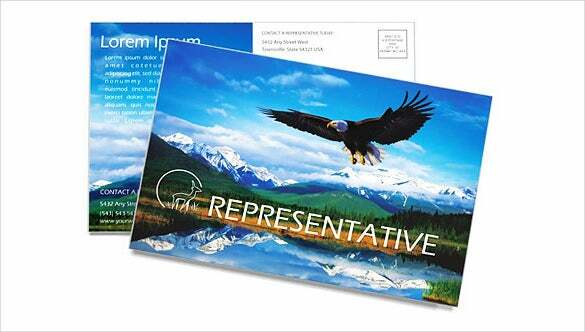 If you’re sending a postcard to someone who loves birds and nature, you can go for this template with the image of the mighty eagle. 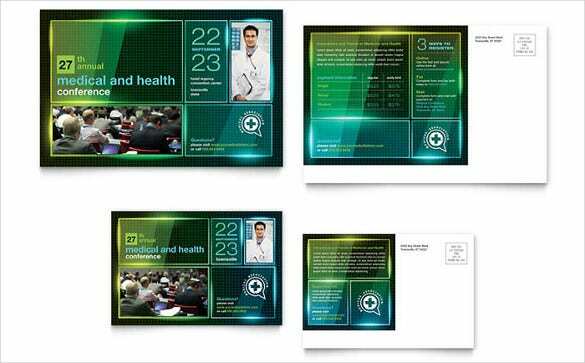 Medical conferences are important occasions, and a postcard which is formal, official and sombre in tone and design is necessary. This template gives you a multicoloured background with text for descriptions. 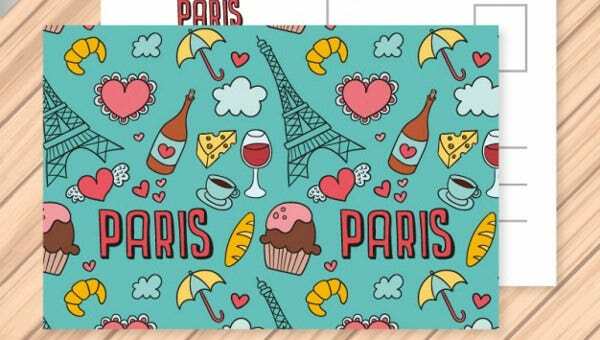 Sending a postcard to your family back home from Paris? 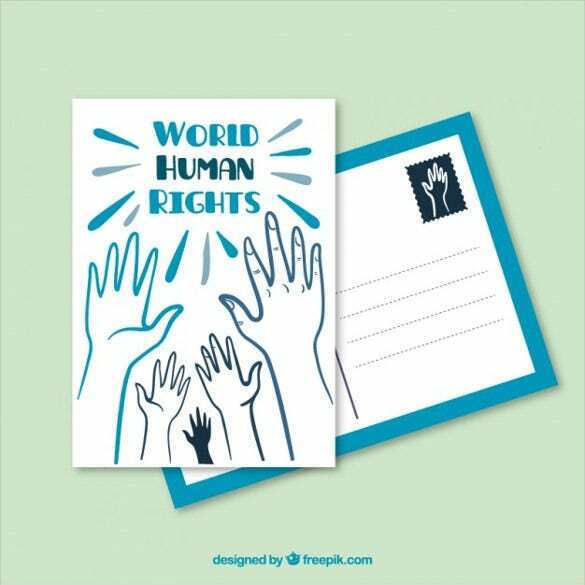 Then what could be better than this vibrant, adorable, peppy and meaningful postcard? 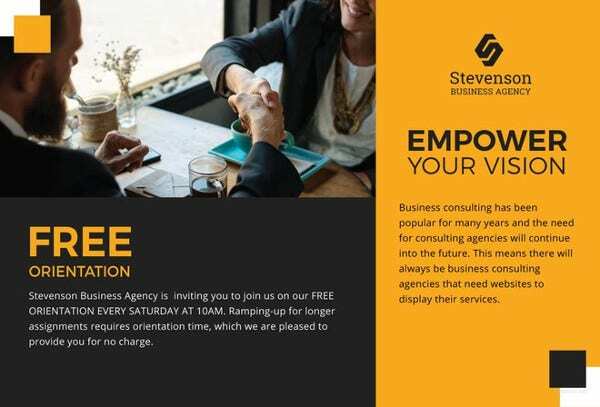 Download this template today, if you’re looking for something like this.